Big Monday Night game between two athletic quarterbacks with the need to win! Who are you picking? 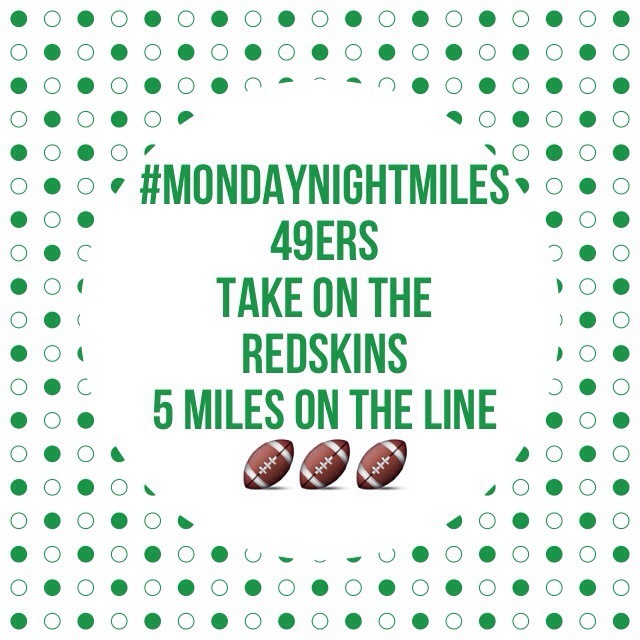 5 miles on the line! Make your pick in the comment section and it will be added to the lists below! Be sure to click on the particpant’s name to see their blog! The One and Only Pavement Runner! Previous Post 1/2 Marathon Time! This is brilliant! Wish I knew about it sooner! I pick the 49ers. I will take Washington…saw this in a pavement runner tweet, great idea!